Not a theme I have much affinity with, perhaps next time we can have Time Travellers as a theme for starter avatars? They have the normal good old fashioned system bodies, which is a good decision as mesh avatars are something for more experienced users. If only we could now also find an easier way to deal with alpha layers, can’t we connect them to the clothes so you wear them automatically? Anyway, more choice of new avatars is a good thing although I still think it would be even better to have some sort of avatar creation tool on the SL website as part of the signup process. 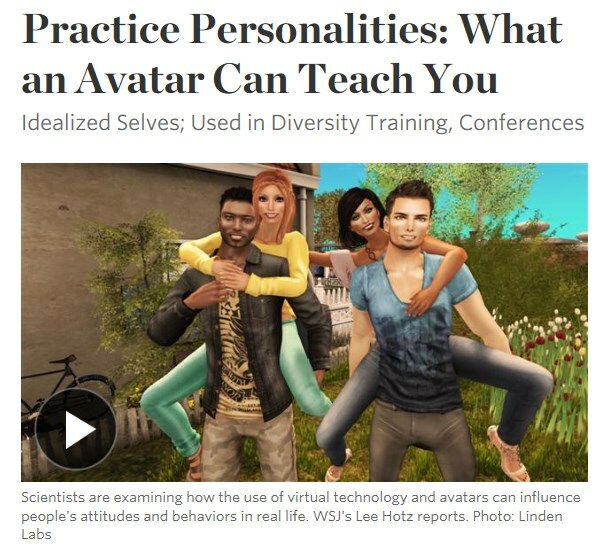 Let new users play with how they want their avatar to look before they even start Second Life. Today Linden Lab announced ‘Project Bento’, the biggest change in Second Life avatars in years. One of the things Second Life offers like almost nobody else is the freedom to change and personalise your avatar pretty much without limits, now they are making this easier and are going us even more options. 11 extra limb bones for wings, additional arms, or extra legs. We’ve developed all this in collaboration with many expert Resident content creators and with the developers of the most popular tools for creating avatars and animations, so there will quickly be versions of those tools you can use to help take advantage of these changes. There is also some demo content already available. I think this is interesting news, quite a few people seem to think Second Life will be neglected now Linden Lab is working on Project Sansar, but this clearly shows they are still putting a lot of work into improving their first-born. Another thing I like is that they aren’t releasing this yet, but first want us to testrun these new features and let them know what we think. The avatar skeleton changes introduced by Project Bento are not yet final because we want your feedback, either in the Creation Forum or in JIRA. To experience the changes, you’ll need to download the Project Viewer and upload any content using the new skeleton extensions to the Aditi Beta Test Grid (most regions on the Beta Test Grid will allow this; some may be in use for other testing and not yet have these updates). Once we have finalized the skeleton extensions, we will enable uploads using them to the main Second Life grid and the real fun can begin! 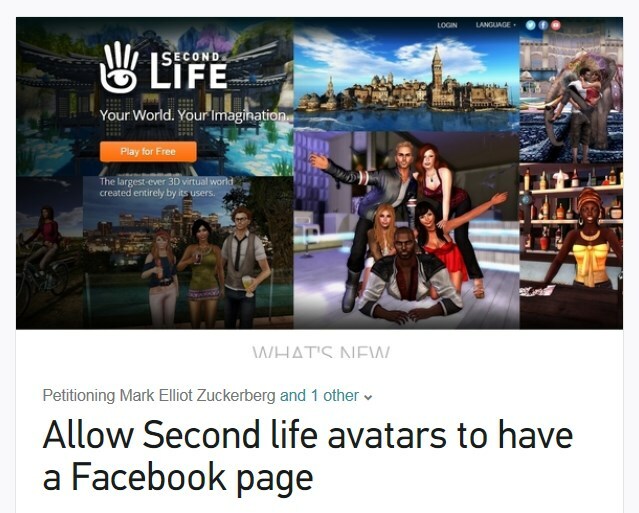 A petition has popped up that asks Facebook to allow Second Life avatars to have a page, they however mean to ask Facebook for Second Life avatars to have a Facebook profile, because we’re already allowed to have Facebook pages, as long as they are managed by our RL profiles. Will this make an impression on the Facebook people? Probably not, I am not saying that because I am cynical but because Facebook only cares about publicity and numbers. When cross dressers got upset about being forced to use their RL names, they caused quite a bit of fuss, demonstrated at FB HQ and received a lot of media attention. Most people who have a profile on Facebook for their Second Life avatar are not going to demonstrate, we’re not going to get much media attention and to be fair, not that many of us are probably going to bother even signing the petition. BUT… it can’t hurt to try, right? After all, this will only work if a LOT of us sign it, if Facebook receives thousands of signatures, they will at least pay attention. So why not give it a go and sign it.